If you have an Altra checking account or credit card, you and your family* have access to Altra Secure ID, a free identity theft protection powered by CyberScout™. If you’ve become a victim of identity theft or discover that you’ve lost your wallet, call Altra at 800-755-0055 and we’ll connect you to an advocate who can answer questions and help you through ID Theft resolution. Your personal advocate will work with you from the first call you make to report the problem until the crisis is resolved. CyberScout™ will notify appropriate agencies, businesses, and institutions, and create a comprehensive case file for insurance companies and police. They’ll follow through on every aspect of the case until your identity has been restored. Altra Federal Credit Union will never contact you to ask that you verify any account information over the phone or through email. If you have any questions or concerns, please call us at 800-755-0055. If you receive an email purportedly from Altra that you feel is suspicious, please FORWARD that email to [email protected] to verify its authenticity. *Identity protection services are available to a spouse and/or immediate family members under 26 years old who live in the household. If you’re not actively monitoring and protecting your identity, then you are at a high risk for becoming a fraud victim. Why? Because identity thieves and criminals have many ways to take advantage of your good name, from identity theft to tax fraud and financial fraud to medical fraud and more. All it takes is a few key pieces of your data. So how can you protect yourself? Document and identification replacement for critical items stolen or lost in a natural disaster. Don’t wait until you’re a victim before getting the coverage you need. 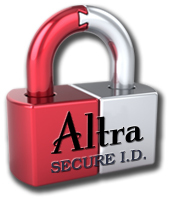 Sign up for Altra Secure ID fraud monitoring and identity management services today. What to Expect: After enrollment, depending on your service level, you will have access to your various reports via our secure web portal. All of your reports will be made available within 48 hours of enrollment. You will receive an email notification when your reports are ready for viewing. You can log in to your account and view your personal identity information. 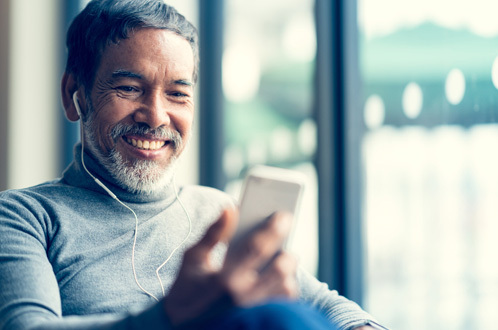 Your credit monitoring service will begin upon enrollment and you will receive email alerts notifying you of any activity related to your credit file. Please note: You must complete the Identity Confirmation security questions to be able to view the details of the credit monitoring alerts. Once you receive an alert, you can log into your account and view each of them. Altra will never contact you to verify any account information over the phone or through email. If you have any questions or concerns, please call us at 800-755-0055. If you receive an email purportedly from Altra that you feel is suspicious, please FORWARD that email to [email protected] to verify its authenticity. © 2019 Altra Federal Credit Union. All rights reserved. By clicking continue, you will leave the Altra Federal Credit Union website and enter the above listed site. Although Altra Federal Credit Union has a relationship with this site, Altra Federal Credit Union does not provide the products and services on the site. Please review the applicable privacy and security policies and terms and conditions for the site you are visiting.